When it comes to existence there are two basic categories: God and not-God. We’re all in that second one. We must remain mindful of the gulf between God and everything else. Why? Here are a few reasons. For my friends on the moral police squad: because the work you do is all on this side of the gulf. 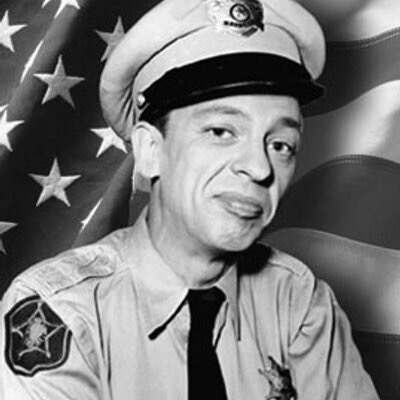 I know you feel like you’ve been deputized to defend God’s moral code and all, but you’ve got more than a little Barney Fife syndrome going on. I know you think God’s moral law is set in stone. But Moses had a baby fit and smashed those. Paul said God writes his moral code on people’s hearts. The only way to speak into people’s moral lives in any way that bridges the gulf is to get to know their hearts and the heart God has for them personally and specifically. For my friends fixated on signs, wonders, and prophetic words: because sometimes we see signs that aren’t there, claim wonders that didn’t happen or have mundane explanations (such as being the result of psychological manipulation), and talk ourselves into ideas being prophetic words. Now, don’t get me wrong, God does give signs, miracles still happen, and God still speaks to us. Those do come across that gulf to our side. But we also get it wrong sometimes. Other times we fake it and pretend something came over that didn’t. We have to be honest about that and duly suspicious of our tendencies to help God over the bridge. 1. Toshimasa Yasukata, Lessing’s Philosophy of Religion and the German Enlightenment, p.56.